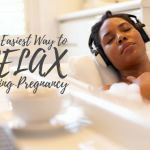 So, you’re expecting a bundle of joy soon and you and your partner want to take the opportunity to relax before Baby arrives. However, finding good vacation spots for pregnant couples presents interesting challenges. Every trimester offers its own advantages and disadvantages. To start, base your vacation on where you are in your pregnancy. You may not want to take long hikes in your third trimester. Hiking could be perfect for your second trimester when women are usually feeling most active. Of course, you won’t know how pregnancy will affect your body until you are experiencing it so it can be hard to do much planning in advance. Wherever you choose to vacation, a few basic ideas will stay constant. Before looking into good vacation spots for pregnant couples, let’s go over some basic travel rules for pregnancy. 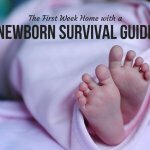 Pregnancy is your new normal for now and you need to realize that your life is a bit different for the moment. No matter the trimester, your blood flow has increased so your body requires more liquids and filters them more quickly. You will need to pee a lot! You will want to go somewhere with easily accessible bathrooms. Go whenever you have the opportunity even if the bathroom isn’t looking ideal. You don’t want to be fighting the urge to pee when there’s no bathroom in sight. The last thing you want to do while pregnant is haul around a giant, heavy suitcase. Pack a few essentials, a couple of outfits, and call it good. Realistically, you probably don’t have as many maternity clothes as regular clothes so pack whatever you like. Overpacking for any vacation is always a concern but it is especially important now that you shouldn’t lift as much. 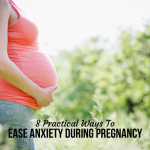 If you haven’t been pregnant before, you will be surprised at how exhausted you’ll feel. You will even have bouts of it in the glorious second trimester. When looking for good vacation spots for pregnant couples, take into consideration how tired you will be. You’ll need breaks in the day to rest. Your feet will get sore walking the streets of a large city. You won’t be able to walk as far or for as long as your pre-pregnant self. Plan time to relax. Take naps. Take a bath. Enjoy a massage. Your pregnant body will appreciate being cared for. If you’re traveling out of the country, ask your doctor about any vaccinations you may need. This is especially important because pregnancy lowers your immune system and increases your odds of getting sick. Try to avoid any places experiencing any disease-related outbreaks like South America, which is currently experiencing an outbreak of Zika. The CDC website has all of the information you need for these considerations. For obvious reasons, certain activities are restricted during pregnancy. Don’t do anything that will bounce you around, shake your body, or anything that comes with a high chance of bodily harm. No roller coasters, skiing, horseback riding, surfing, etc. Basically, nothing too crazy. Consider this a relaxation vacation. Familiarize yourself with nearby hospitals and find out what insurance they take. Do this especially if you are traveling in your second or third trimester. You want to be overly cautious and know where to go if an emergency situation arises. Know if your insurance is accepted too so you don’t get stuck with a massive bill. Before you take off on your vacation, read this blog. It is a first-hand account of vacationing in a large city while pregnant. She raises good points that would often go unlooked. For example, the need to eat and consistent fetal movement. Give it a glance while planning your trip to get a good idea of what to expect during your vacation. With the above tips in mind, good vacation spots for pregnant couples is anywhere you and your partner would like to go. So where should you go? The thrill of a big city, like New York City or San Francisco, will bring an assortment of activity options. Walkability may be an issue as well as fatigue. Consider padding your budget for taxi rides. Better yet, visit a big city in your first or second trimester when you don’t feel so weighed down by pregnancy. Plan lots of chances to rest and treat yourself to a nice hotel. Cruises will take you to faraway island destinations but the close quarters, possibility of illness, and the risk of sea sickness make them less appealing. Nausea can last all three trimesters and you don’t want to exacerbate that on a cruise ship. If you are really wanting an island vacation, get there the old fashioned way and jet off to an all-inclusive resort and spa. The Sunset Jamaica Grande Resort and Spa in Ocho Rios, Jamaica. All inclusive resorts really aren’t that expensive. A spa getaway is an ideal vacation for pregnant couples. You deserve all of the pampering and massages you can get. As you gain your pregnancy weight, you will become more uncomfortable and sore. Find a great spa nearby if it has gotten too late in your third trimester to travel and make it a staycation. If you’re still up for traveling, The Golden Door Spa at the Naples Grande Resort and Club in Naples, Florida offers many spa treatments specifically for pregnant women. Your partner will have fun, too. A simple mountain getaway is a wonderful idea to relish the calm and quiet before your baby arrives. Sitting by a relaxing fire sipping hot cocoa is a pregnant woman’s dream. Jackson Hole, Wyoming is a fun mountain town with breathtaking views and plenty to do. An extravagant but worth it vacation option would be a tour to Europe. Go in your first or second trimester, and brush up on European history. Plan a big city trip and visit all that you can. 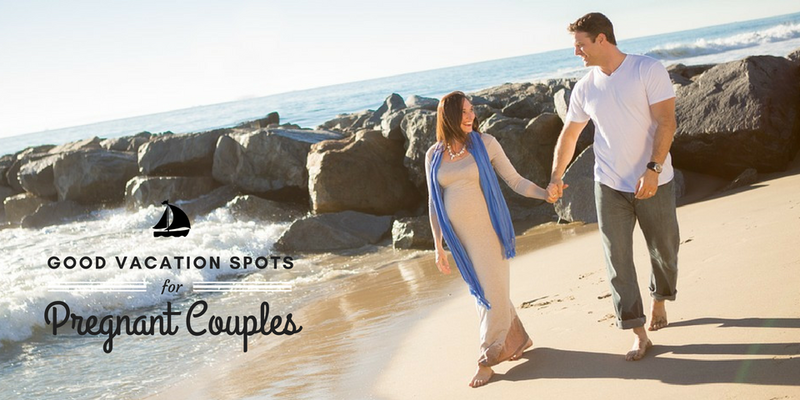 Unless the location is especially dangerous or too far away, everywhere is a good vacation spot for pregnant couples. The important thing is that you and your partner enjoy a memorable vacation before the arrival of your precious baby. Enjoy yourselves, take the proper precautions, and pick the best place for you as a couple. Your vacation will be great and prepare you for the crazy life changing event that is having a baby.